The personal training industry is booming. You see people from all economic backgrounds contemplating taking on a personal trainer. The landscape has changed. It is no longer for the celebrities or sports stars. Working out with a personal trainer has become a necessity nowadays. With obesity on the rise and various health conditions increasing, people are looking for ways to become healthy and fit. Personal training has become an investment for many. One of the biggest benefits of having a personal trainer is that you will be accountable and they will keep you motivated for as long as the program runs. Personal trainers are experienced and educated and they know how to achieve the greatest results in minimal time. Now, this is not to say they will not push you to work hard. Yes, they will. However, a personal trainer will first assess your physical competency, emotional health and any past medical history before the workout starts. A workout program will be developed based on these factors. It will be a program that caters to your specific requirements. It will be a routine that meets your goals and abilities. If you aim to workout on your own at the gym or home, you may not know how to use the exercise equipment properly to reach your potential. Working out with a personal trainer, on the other hand, will give you insight into how to use gym equipment. Trainers will teach you the different muscles that are worked out for various exercises. If you are unaware of a particular exercise, a long term workout could result in damage to self. However, with a personal trainer at your side, long term injury will be minimized and you will learn proper handling of gym equipment, which you can continue to use long after the program comes to an end. Let’s take a look at health benefit. There’s a myriad of health conditions like heart disease, strokes, diabetes which can come on as a result of not being healthy and fit. The more you exercise the more likely the risk of such health conditions will be minimized. Your body needs to be fit to ward off such diseases, and what better way than to work out with a personal trainer to achieve these goals. A personal trainer will also guide you on proper nutrition and lifestyle habits, in order to not just improve your appearance but also the quality of life. A personal trainer is like having your best friend at work. It is a personal buddy workout system that gives you the energy and motivation to workout with one on one attention at all times. 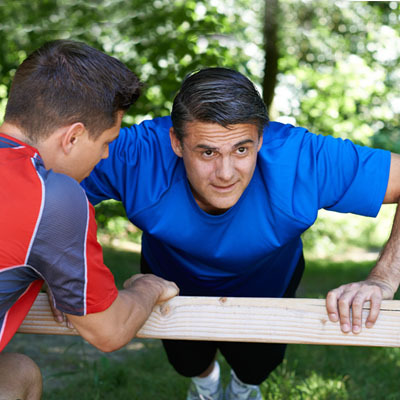 Yes, you have the luxury of having an experienced person that will not only train you in the correct way to exercise, but also be a constant encourager and friend.